Image: Albert L. Ortega/Getty Images, Walter McBride/Getty Images. Design: Allyson Koerner/SheKnows. You know what they say, when two individuals post a photo together on social media and said photo shows them kissing, they are not only confirming their relationship, they are making things super official. 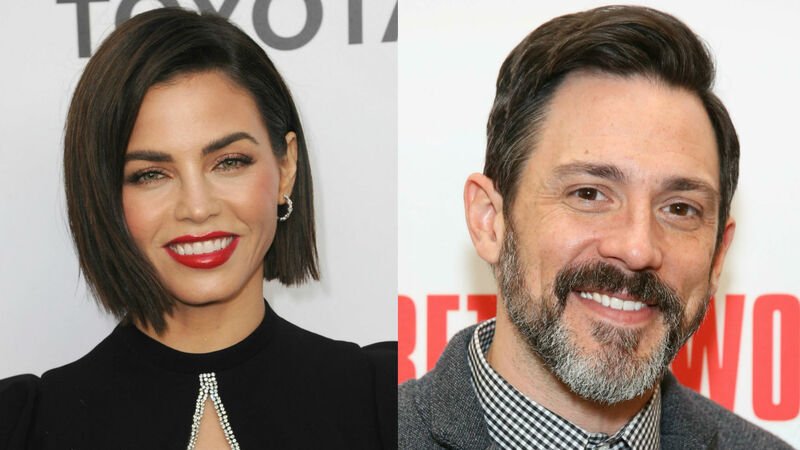 Well, that’s exactly what happened on Monday when Steve Kazee wished Jenna Dewan happy birthday on Instagram with a sweet picture of them in a photo booth making silly faces and kissing. Better yet, he even posted a cute birthday message for Dewan that shows just how much he cares about her. No matter how you might feel about Dewan and Channing Tatum moving on with other people after they announced their split in April, there’s no denying they both seem happy with their respective new partners. Plus, the way Kazee expressed himself publicly about his feelings for Dewan on Instagram speaks volumes. He clearly has it bad for her. The Resident star definitely deserves someone who makes her smile and isn’t afraid to let the world know how much she means to him. The Broadway star is becoming more and more comfortable commenting on her Instagram. Entertainment Tonight even reported that Kazee posted, “Swooooooooon,” on a black and white selfie Dewan shared on her account on Nov. 27. There you have it. Dewan is happy with Kazee and he appears to be just as happy with her as proven in his adorable birthday message and photo on Instagram.